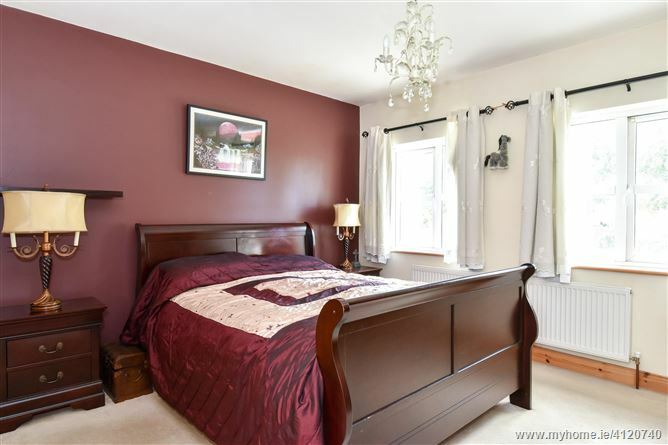 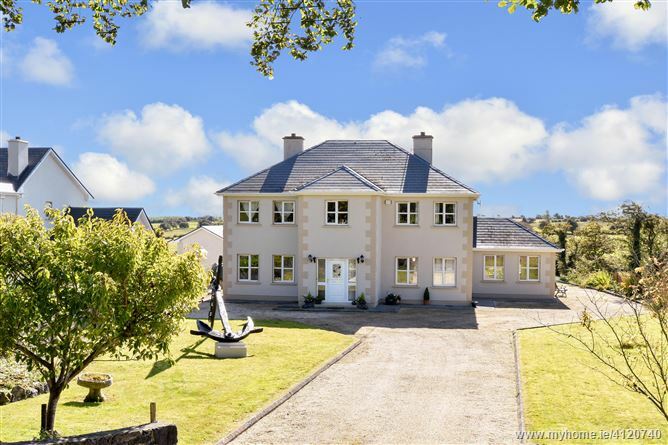 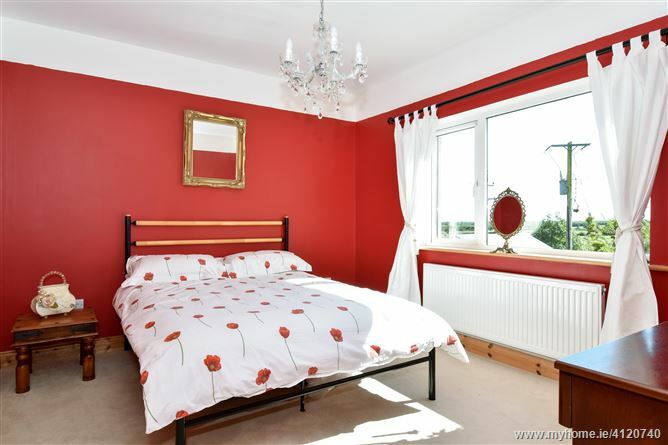 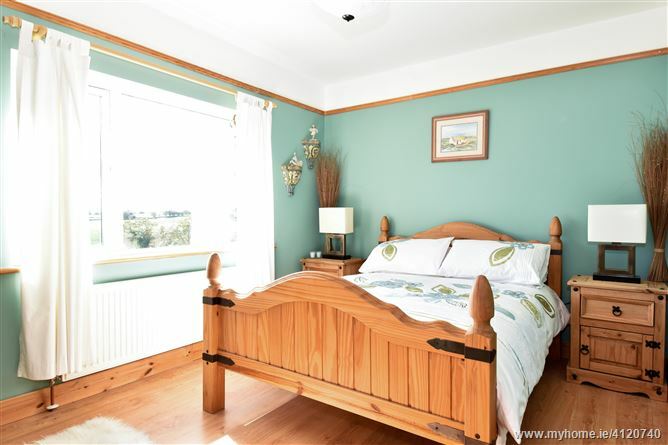 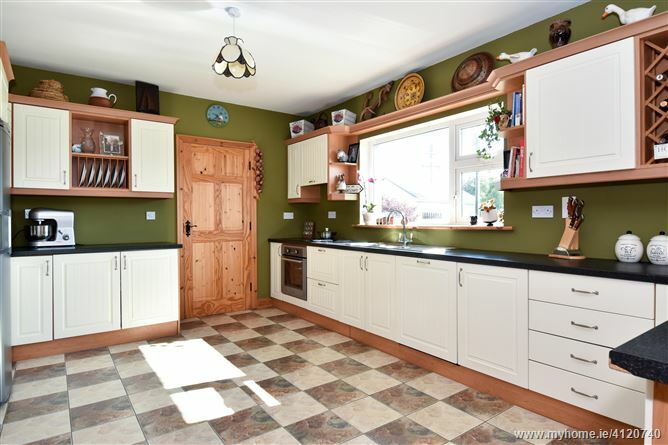 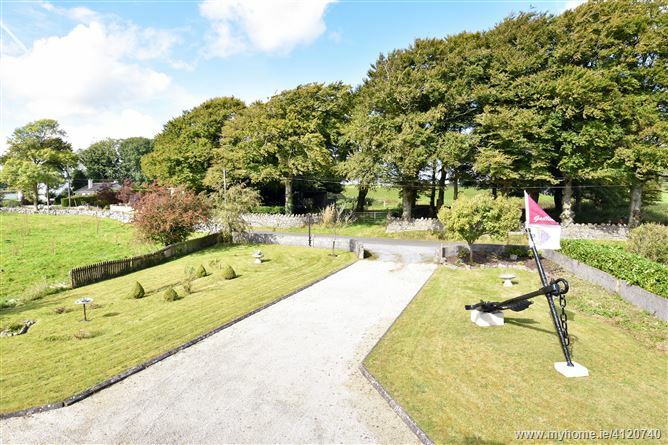 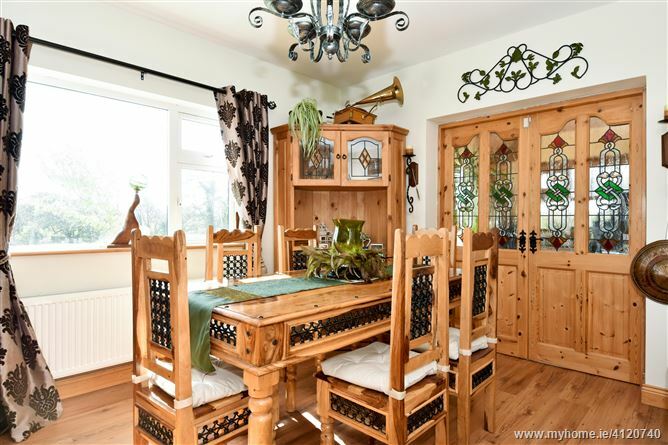 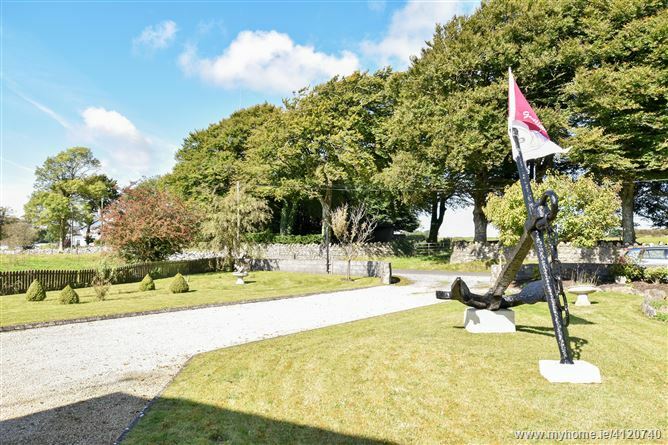 O'Donnellan & Joyce are delighted to offer for sale this stunning five bed detached family home found in the scenic country setting of Ryehill, Monivea, Co. Galway. 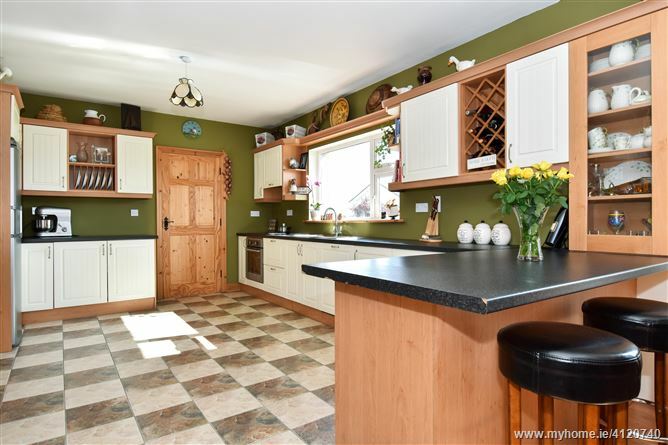 The property is presented in absolute show house condition throughout and the current owners have spared no expense in creating a beautiful family home with taste, style and comfort in abundance throughout. 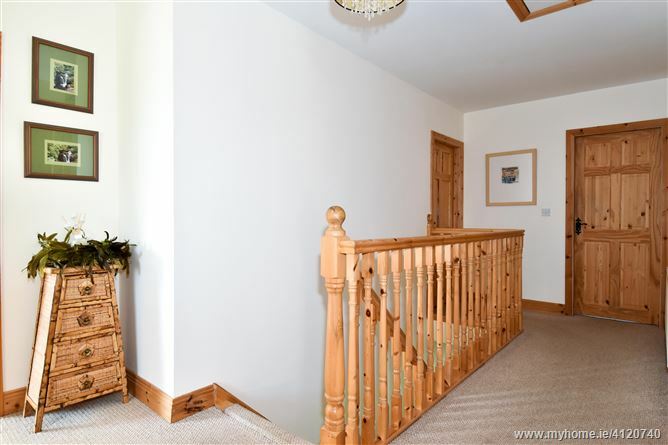 The property comprises of a bright and airy welcoming hall and a large lounge room with feature open fireplace. 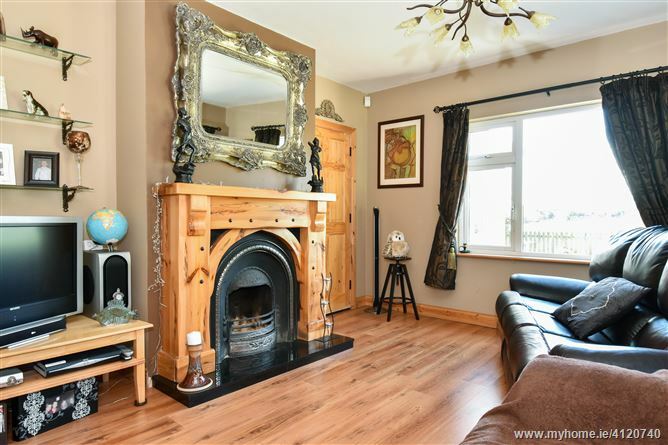 A second family room or playroom is also found to the front of the property which also has the option for a second fireplace should one require it. 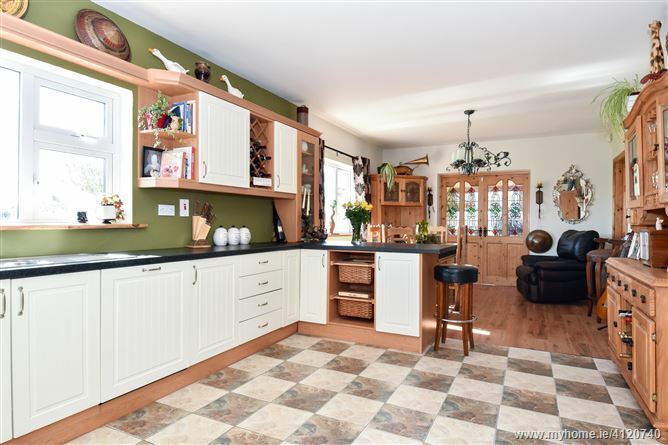 The heart of the home the kitchen is open plan in style with the dining area and offers double doors leading into to a wonderful sun room. 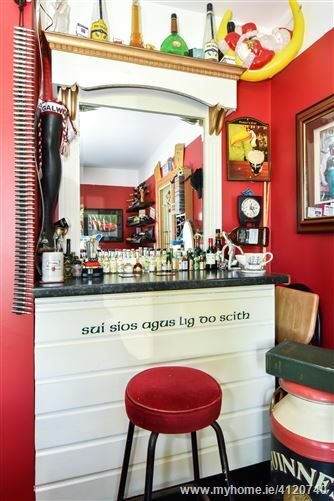 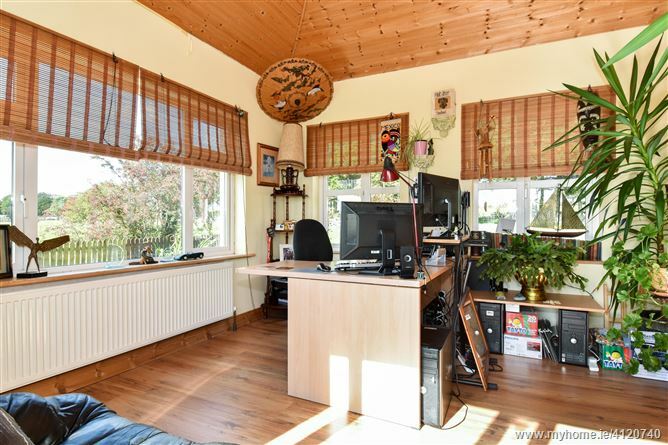 The sun room has a sunny South facing aspect and is currently used as the home office. 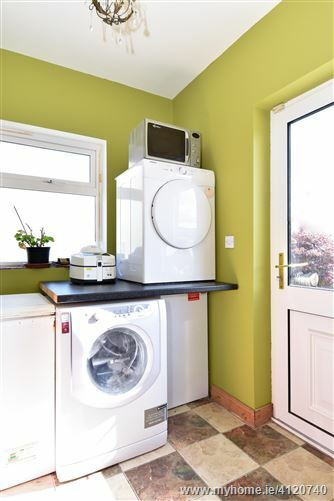 A separate utility room and downstairs bathroom with shower completes the accommodation on the ground floor. 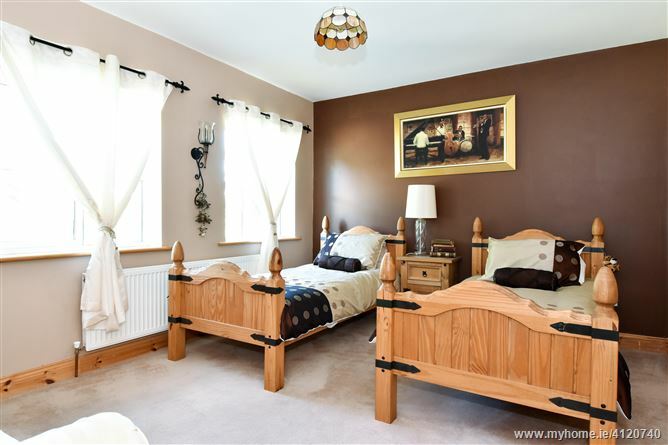 The sleeping accommodation upstairs comprises of five bedrooms, four of which are fine size double rooms as well as a single room. 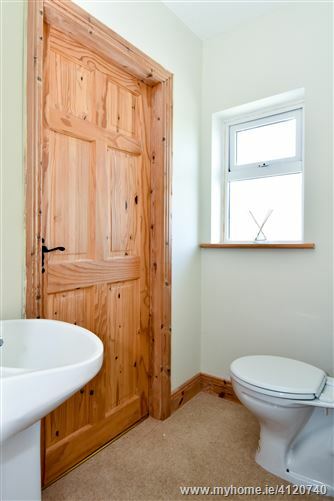 The master bedroom and two guest bedrooms offer en suite bathrooms. 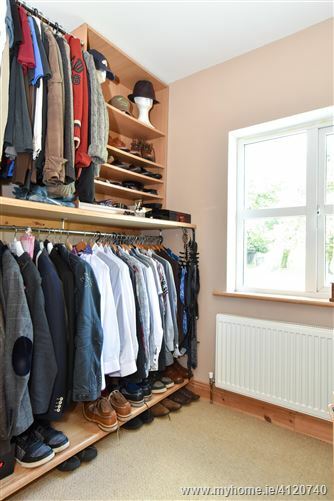 There is also the option of extending into the attic area if so required for extra room or additional storage. 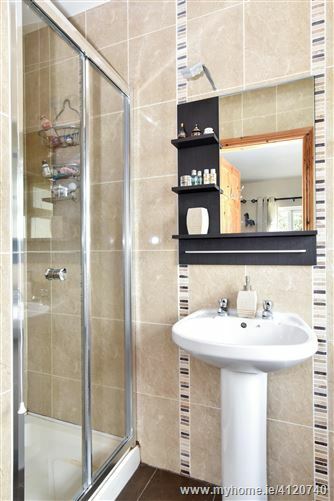 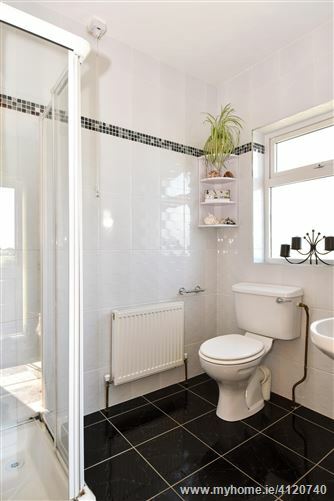 A beautifully appointed main bathroom completes the accommodation on this floor. 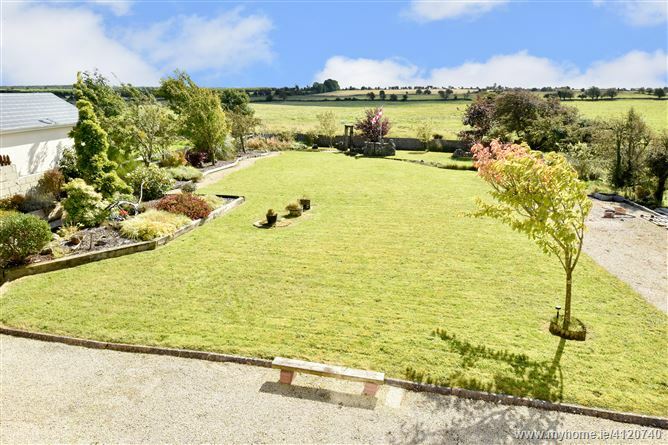 This property is positioned on a large private site in a truly tranquil setting, with beautifully maintained gardens front and rear with fantastic unobstructed views over the Monivea hinterland. 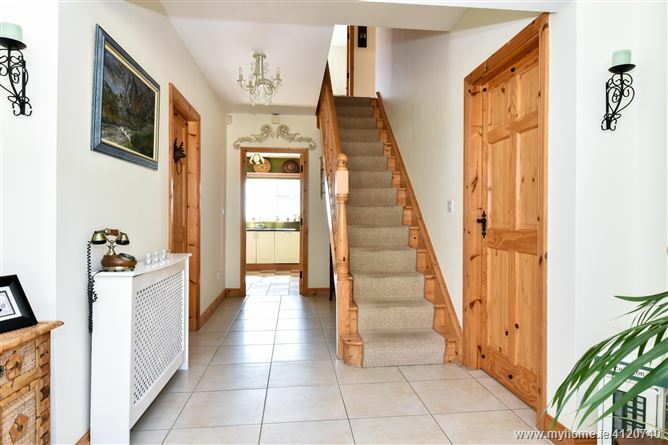 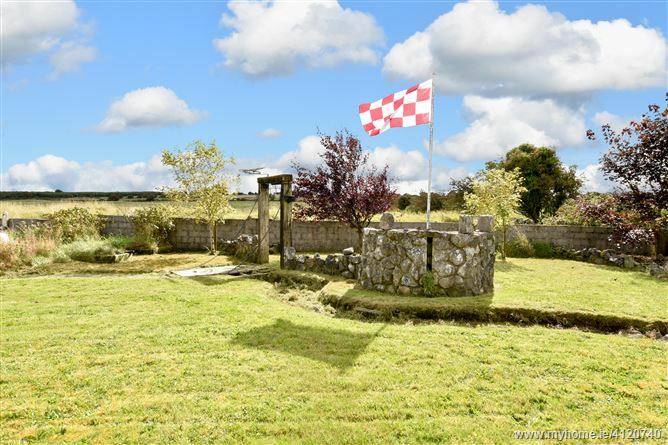 This wonderful residence would prove to be the perfect family home for those seeking ease of access of the nearby Monivea village. 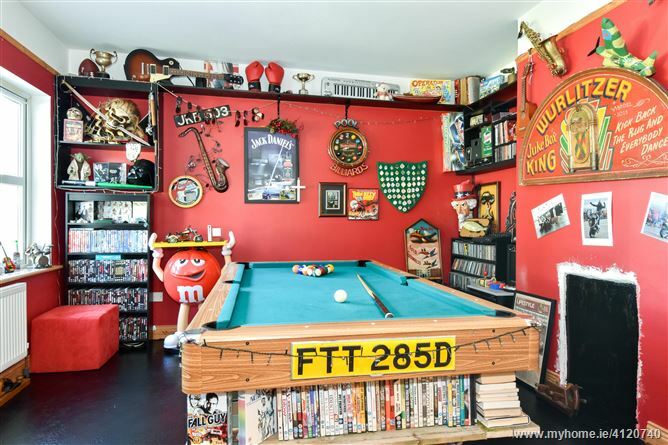 Viewing is highly recommended and certainly will not disappoint.